I wrote last time about the Legacies of British Slave-ownership website, and quite by chance I have now found a Will which illustrates that period of history between the passing of the abolition act and actual emancipation. Joseph Stone Williams died on the 6th of February 1836 in the parish of Westmoreland, Jamaica. He was born about 1778, the eldest son of James Williams and his wife Frances Cecilia Stone. Although I have not found baptism records for all the family it is possible to piece together the records of nine children, drawing partly on Joseph’s Will for information. The Williams family were present in Westmoreland throughout the eighteenth century and it is probable that Joseph was the great great grandson of Rowland Williams, whose family arrived not long after the British seized the island. Joseph does not appear to have married but like so many men in Jamaica at the time he fathered a number of children, and in his Will he made generous provision for them and their various mothers, in particular for Mary Pessoa the mother of three sons and a daughter, the last of whom seems to have died before the Will was written. You can read the Will in full here. Joseph was the owner of three estates – Anglesea Pen, Cairn Curran and Carawina. Claims were made for compensation for all three as owner, plus three other claims (for twenty-four individuals) as awardee. There were forty-two enslaved persons on Anglesea Pen with compensation amounting to £688 2s 2d; there were three hundred and eighteen enslaved at Carawina with compensation equal to £5912 16s 11d; and at Cairn Curran eighty-five enslaved with compensation amounting to £1628 8s 10d. Of these former slaves, who at the time he wrote his Will in 1835 had been converted to ‘apprentices’, a number were given to Mary Pessoa and are listed by name in the Will. Because Wills were written without punctuation it can be a little difficult to work out just how many individuals there are in this list but there seem to be about forty-two men and women, in which case they may constitute the workforce of the Anglesea Pen. Mary Pessoa was being left the services of these apprentices during the remainder of their apprenticeship, and Joseph Stone Williams made clear that the apprentices at Cairn Curran were to be allowed to continue to live in their accommodation ‘during the apprenticeship system without any hindrance or molestation whatsoever’. As long as she remained single Mary Pessoa was to be allowed to continue to live in the Great House at Anglesea Pen where she had already been living with her children, and she also received furniture, household linen, Joseph’s wearing apparel, and the right to continue to pasture her and her family’s stock at Anglesea Pen. 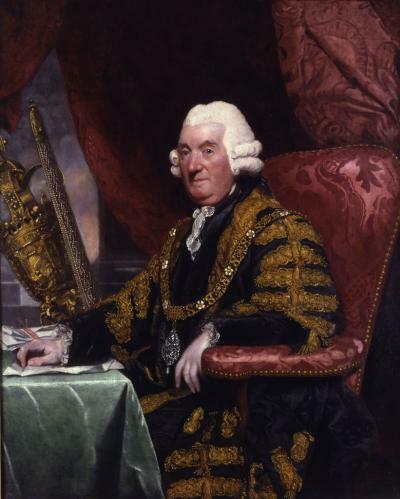 In addition to the legacies to Mary’s sons, Joseph also left legacies to Joseph and James Williams the two sons of Eliza Ward Robertson, to Mary Williams the daughter of Eliza Murray and to Ann Williams the daughter of Ann Anderson. There were legacies to various friends, family members, and servants, a large legacy to his brother William Williams, and the residuary legatee was his brother the Reverend Theodore Williams the vicar of Hendon in North London. As I said, the list of apprentices was unpunctuated in the Will, but I have included it here with what I hope is correct punctuation so that anyone searching for ancestors in Westmoreland at this time may be able to find them. William Grant, William Montague, William P [blank] Atkinson, George Dixon, James Arthur, James Drummond, Charles Vassall, Alexander Grant, Charles Pinnock, Thomas Williams, Richard Wellington, Nod alias William Godfrey, Amelia Murray, Eliza Grant, Grace Elizabeth Atkinson, Patience, Sarah R [blank] Arthur, Ann Wilson Bell, Margaret W [blank] Grant, Jane Smith, Jane Neill, Daphne, Hannah, Queen, Juba, Matilla, Bessy Anderson, Helen McLeod, Thomas Anderson, George Pessoa, Mary P [blank] James, Maria Williams Pessoa alias Maria Cook, James Gammon, Bonella Gammon, Maria Lewis, Robert Bowen, Jackie alias John MacLeod, Ithy (?) Girling, Mimba alias Eliza Hodges, David Bowen, William Goodin and Richard Bowen. ‘Ithy’ may be short for Ithamar in which case this is a girl or woman. Reading the will in association with the compensation records provides an interesting snapshot of a pivotal period in Jamaican history. Was Your Ancestor Really Married? The question of whether our ancestors were actually married and if so where and when is one which has particular resonance in the context of 18th century Jamaica. Last weekend I had the pleasure of meeting, albeit briefly, Professor Rebecca Probert and her husband who were at the Who Do You Think You Are? Live event at Olympia in London. You might recognise Professor Probert from her appearances on television in programmes such as Who Do You Think You Are?, Heirhunters and Lucy Worsley’s series Harlots, Heroines and Housewives. You will also find a very useful lecture by her (which you can download as a podcast) on marriage law and tracing marriages on the National Archives website. Rebecca Probert is a Professor of Law, and her interest in genealogy has led her to extensive study of marriage law and to a crusading desire to correct many of the misapprehensions that exist about marriage practices and what constituted a legal marriage, which she saw propagated without question down the years in genealogy textbooks and handbooks. For example, could you marry by jumping over a broomstick, did our ancestors indulge in test marriages for a year to see if the woman would become pregnant, did lack of parental consent mean a marriage was illegal, did many couples live together regarded as married by the custom and consent of their community? Professor Probert’s book Marriage Law for Genealogists sets out to provide the definitive answer to these and many other questions. The book covers the law of England and Wales as Scotland has always had a separate legal system. It takes as its starting point the year 1600 and covers the many changes that took place in the seventeenth century during and after the Civil War, as well as critical legal changes such as the Hardwicke Marriage Act (which came into effect in 1754), and more recent changes such as that making it possible for a man to marry his deceased wife’s sister. 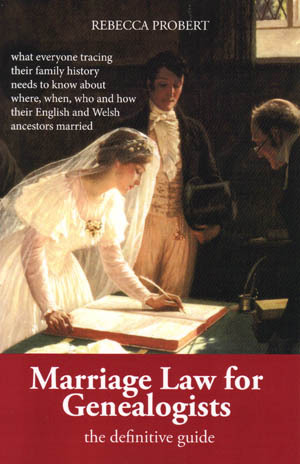 Because the author recognises that many readers will be interested in specific questions rather than wishing to read the book from cover to cover, she has structured it around a series of key questions, and flags up a series of key facts invaluable to anyone wishing to check on a particular aspect of marriage law. The questions she addresses are whether and why a couple got married, who could marry and whom they were free to marry, how marriages took place in terms of the formalities required, when a person could get married in relation to minimum age and questions of parental consent, and she provides some guidance on where marriages may have taken place. It was for example perfectly legal to get married in a parish other than your own and she discusses why this might have been the case. Some misunderstandings about marriage are of relatively recent date. For example the belief that before 1754 a simple exchange of vows between two people constituted a valid marriage, can apparently be traced to a New York legal case in 1809, which led to an English case confusing the distinction between being bound to be married and actually being married. Being bound to be married Professor Probert compares with the exchange of contracts on a house purchase which binds the parties but requires completion. The notion that two parties could be married by jumping over a broomstick has been traced to a misunderstanding in a change of language when ‘broomstick’ was an adjective used to describe a sham, and resulted from a nineteenth century interest in pre-industrial folk customs, interpreting visual images of broomsticks as depicting actual folk ceremonies. A similar misunderstanding arose concerning the term ‘hand fasting’, sometimes believed to be a marriage for a year and a day and used as a fertility test, but which was in fact no more than a period of betrothal which was a formal contract to be married at some future date. Another myth that Professor Probert debunks is the notion that in the past huge numbers of people cohabited, married in the eyes of their community but not by their church. There were a great many reasons why this was not the case and in fact in the early eighteenth century only about 2% of births were illegitimate, with peaks during the First and Second World Wars, the rate did not really rise until the 1960s. The fact that you may not be able to find a record of your ancestors’ marriage, does not mean that they were not married nor that their children were illegitimate. Who you were allowed to marry in the past was much more restricted than it is now. The so-called ‘prohibited degrees’ included close blood relations but also many who were only distantly related to you by marriage. The book includes a useful table of those marriages which could never be valid such as between a parent and child, those which have always been valid such as between cousins, and a range of permitted relationships which have varied over time. It is also interesting to note that if a marriage did occur within the prohibited degrees it could only be challenged while both parties were still alive. You may have been surprised to discover an ancestor whom you knew to be a nonconformist, or a Roman Catholic, who nevertheless was married in an Anglican parish church. Before the advent of civil marriage in 1837 only Jews and Quakers were likely to have been married other than in an Anglican parish church by an Anglican clergyman, although Catholics often did go through a second Catholic ceremony. Even if your ancestor was married without calling the banns or by obtaining a licence, as long as the ceremony was conducted by an Anglican clergyman the marriage was clandestine but valid. During the Civil War religious marriage ceremonies were replaced for a brief period by a form of civil marriage, but Canon Law was reinstated in 1660 and the Hardwicke marriage act tightened up on what had been seen as a number of undesirable practices. After the mid-eighteenth century record keeping improves, to the relief of many a genealogist, but the fact that a marriage was not registered did not render it invalid. This protected the couple whose marriage might have been challenged as a result of an absent-minded cleric failing to keep proper records. When considering your ancestor’s marriage Rebecca Probert makes clear the difference between directory requirements which were desirable, and mandatory requirements which if neglected would render a marriage invalid. She deals with questions such as couples who gave false or partial names in order to conceal an intended marriage from family members, and with those who did not have parental consent to their marriage. With the arrival of civil registration and the increasing availability of divorce the question of remarriage in church arose, and I was unaware that it was permissible to be remarried in church although since 1857 Anglican clergyman could refuse to perform such a ceremony. Professor Probert’s book is an invaluable aid to anyone researching their family history and a useful antidote to the numerous myths that have grown up concerning marriage in the past. In relation to Jamaica the question of whether your ancestors were married relates very closely to who they were, why they were there and when. This is further complicated by the condition of the parish registers of the period. Although the legal regulation of marriage was the same as for the home country and local vicars were required to prepare ‘bishops transcripts’ of their registers, the frequent death of incumbents and the depredations of climate and insect attack on the primary copies of the registers mean that the registers were often poorly kept or have periods without entries. So as in England the lack of a register entry for a marriage does not mean it did not happen. Where both parties were from the white elite, and you can find baptism entries for their children you can be certain they were married. However, during the eighteenth century there was a serious shortage of white women in Jamaica and an easy availability of free and enslaved women. This led to a variety of relationships, consensual and otherwise, resulting in the birth of mixed race children who if recognised by their fathers were often baptised with his name and were left property on his death. I have discussed previously what happened to some of these children when they were sent to England. Marriages between free negroes or Taino Indians, who were present in Jamaica from the earliest days, did take place, but only rarely is the racial category assigned to the parties recorded in a parish register. For example, Charles Benoist and Uańah ‘an Indian Woman’ were married in the parish of St Andrew on the 30th May 1675. The disapproval accorded to any suggestion of a mixed race marriage is reflected in the reaction to the impending marriage of Rose Price in 1765. A 1765 letter from Simon Taylor demonstrates the sort of disapproval that a marriage might incur when he refers to the intention of Rose Price to marry. ‘I cannot forget to acquaint you there is a Report on Friday last a Licence was taken out for our friend Rose Price and one Miss Patrick a Writing Master’s Daughter at Spanish [Town] and without a Shilling but that Rose sett out the next day for the Red Hills with his Black wife. I should be very sorry that he should play the fool so egregiously as there has been some coolness between his father and him for some time about other matters and in all probability this will so much incense the Old man that he will disinherit him…’ It is not clear whether Rose Price went ahead with the marriage since the following year he was married to Lydia Ann Fagan. Fear of ‘diluting’ the white elite was ever present and perhaps his father intervened to reinforce the convention that marrying a mixed race wife was just not done. Readers of the book A Parcel of Ribbons will be aware that the marriage of Robert Cooper Lee and Priscilla Kelly, the mixed race mother of his children, which took place on their arrival in London in 1771 seems to be absolutely unique. While there was nothing in canon law to have prevented it taking place in Jamaica, socially it was impossible. One other feature of Jamaican marriages, among the white elite, is worth mentioning and that is the much younger average age of brides compared with young women in England. Whereas in England the average age of brides was around twenty-five during the eighteenth century, in Jamaica it was much younger. A systematic survey is required and matching baptisms (and assumed birth dates) with marriages is tricky but the overall impression is of most girls marrying in their teens. This is entirely understandable in the context of high rates of mortality in Jamaica, described by Trevor Burnard as ‘Britain’s most unhealthy colony’. To consolidate estates by marriage and create an heir as early as possible it was necessary to marry daughters as soon as a suitable match could be made. Given that Burnard  has calculated that in the parish of St Andrew the mean length of a marriage was eight years and four months and the median a mere six years and four months before the death of one partner, it is not surprising that early marriage was the norm and re-marriage frequent. Of marriage ending in divorce rather than the death of one partner I only know of one case in eighteenth century Jamaica, where, as in England, a Private Act was required to achieve a divorce. In 1739 Edward Manning divorced his wife Elizabeth Moore citing her adultery with Ballard Beckford. Manning then followed the traditional Jamaican planter pattern of setting up house with a free mulatto woman, Elizabeth Pinnock, who outlived him and to whom he left property and slaves. For those Jamaican inhabitants who were not of the white elite eighteenth century records are sparse. Only towards the end of the century does regular baptism of slaves become more common, often with changes of name, and with the advent of the Baptist Missionaries attempts to regularise relationships through marriage increased. 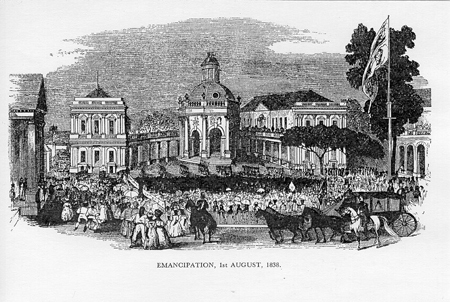 Even after emancipation however, when people were free to make their own choices, rates of illegitimacy remained high. With the increasing availability of parish register and civil records on-line you will have a greater chance of finding your ancestors than in the past and, with the aid of Rebecca Probert’s book, of establishing whether your ancestor was really married. Wood, Betty ed., The Letters of Simon Taylor of Jamaica to Chaloner Arcedeckne 1765-1775, in Travel Trade and Power in the Atlantic 1765-1884 Camden Miscellany XXXV, vol.19, Cambridge University Press, 2002, pp.24-25. Powers, Anne, A Parcel of Ribbons, Lulu.com, 2012, p 151. Burnard, Trevor, A Failed Settler Society: Marriage and Demographic Failure in Early Jamaica, Journal of Social History, Vol.28,No 1(Autumn 1994) pp.63-82.